Coulter Prehm is a young artist who was showcased on the site previously. After Learning of his new endeavors I invited him to update his feature, tell us what he’s been working on and show us some new images. JD: What’s new that has been happening with your art recently? CP: I have been really busy, not only in the studio but on getting a new project together. I am going to be starting Prehm Studios very soon. This is going to be not only my painting studio, but I’m hoping to make it a place of community and learning. I am going to teach short classes, do lectures and demos and I will also be tattooing there. It will be an awesome opportunity for my clients to have a unique experience, getting tattooed while surrounded by finished paintings and by the works in progress. JD: Can you tell us a bit about your tattoo art? CP: The whole allure of tattooing for me is the interaction I get to have with the people who I am working on. It’s a great opportunity to share with each other and it is really a collaboration between the collector and artist. I feel that I have a special opportunity to give my clients a piece of body art they couldn’t collect anywhere else due to the artistic training I have undergone. Tattooing is really the same as drawing and painting, just a different medium. JD: I hear that your work in several other publications coming up, where can we find it? CP: I just had a painting featured in American Art Collector and I am currently featured in Visionary Artistry Magazine (visionaryartistrymag.com) and have an upcoming article about my drawing process in Tattoo Artist Magazine. There are several more articles in the works for other publications and I’ll let you know as they get closer to appearing. JD: What can people to do support the upcoming Prehm Studios and your work? CP: I am currently using funds from painting purchases to cover start up costs for the studios so if anyone would like to invest in the project by means of adding a new painting to their collection they can contact me via my website (coltprehmart.com) for info and pricing. Otherwise I am encouraging people to spread the word, share my articles and site on social networking sites and follow my progress. I really encourage people to feel free to contact me as well. I’m happy to chat, answer questions and to be friends on Facebook. There is a link to my FB off of my website. Coulter (Colt) Prehm is an extraordinary young painter/ draftsman working in an optical method of drawing and painting that he acquired from his teacher and mentor, Tony Ryder. 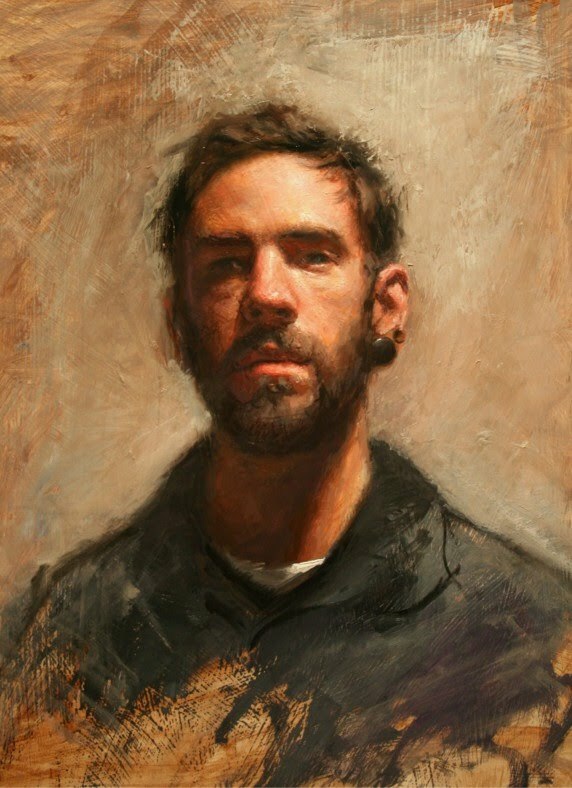 He has also studied painting and drawing with Juan Martinez, Michael Grimaldi, Kevin Gorges and at Iowa State College of Art and Design with Brent Holland. 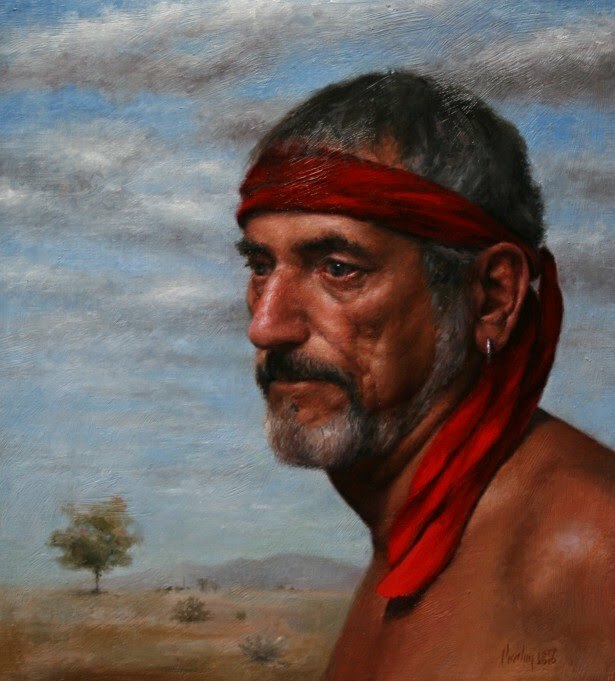 He has exhibited primarily in Santa Fe, NM and was recently involved in the group show “Naked” at Skotia Gallery alongside many of the top names in the contemporary realist movement. Coulter’s work can be found in private collections across the country. This past year he was selected for the prestigious Hudson River Fellowship which brought together artists from across the globe in an effort to revive the method of approaching landscape painting and conservation that was initiated by the Hudson River Painters of the 19th Century. My love for nature, family and art are surpassed only by my love for God who has taken me to where I am and to where I am heading. I am in a constant state of gratefulness. My work and whole inspiration are based on the energy creating and intertwining all beings and our physical surroundings. All these things that we observe have been revealed to us by Light which is astoundingly perfect and infinitely beautiful. By committing time, which is the most precious of resources to give or receive, to our subjects in study and interaction we can, as artists, change our surroundings and world by demonstrating love and appreciation. It is only through this interaction that we can discover the inherent beauty that is so often overlooked and hopefully through skill and understanding we are able to articulate the transient gift we experience to the rest of the population. Excellent work Colt, the first portrait above really works for me. It is the variety of edges and the parts that are hard to see that make it a great painting. Debbie and Steve Hogan gave me your name and I am grateful. I appreciate your work and especially loved, FEARLESS. Great job. Really great work. I love the look of the third portrait. Great work Colt, you are doing great things!! Congratulations Colt! Your work is looks beautiful.